left to enter my Gingerbread Man Giveaway. Winner announced tomorrow, followed by ANOTHER GIVEAWAY!!! 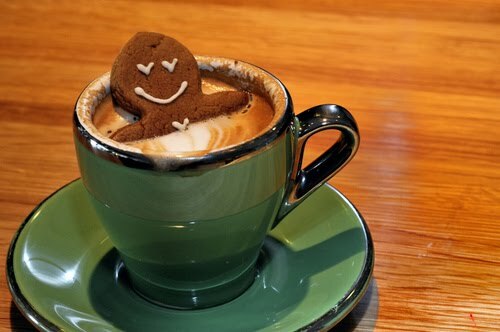 he he he... your gingerbread man looks much nicer than the one my friend made for me last week! Eeeek, get him out of there before he drowns!! That is my kind of bath! AHHHH! He's melting!!!!! It burns!!! How freakin' cute is that? !